RARE Super Nintendo Mini system in GREAT condition! It's like a belated Christmas. I forgot how much I enjoyed these games until I was able to play them again. Refurbished and like new. I can't recommend Lukie Games enough. Great system, works perfectly and have really enjoyed playing it. Thanks Lukie games. 5 months ago my SNES Mini gave out on me after 18 years of service. I immediately began to search for a replacement on eBay.com. I purchased a used, non-refurbished one that turned out to be unserviceable. I’ve been on the lookout for another replacement ever since. I came across Lukie Games last week and decided to give them a try. The fact that the SNES Mini that they sell are refurbished gave me extra assurance that it would work. Sure enough it works like new and i’m glad to be able to play my favorite SNES games again. I bought this system with 4 games. Thought my daughters just HAVE to experience playing the Super Nintendo! Got it all in a timely manner and everything works perfectly... 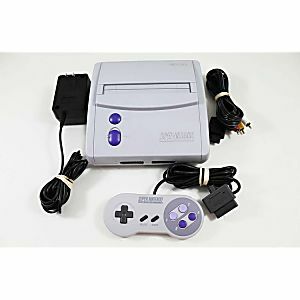 This system and the controller it came with look and feel brand new. Well worth it! I will buy more games from Lukie Games..
System shipped out fast and is in near mint condition. No fading or discoloring. Plays all my games as if it was a brand new system. 100% satisfied with my purchase! So the review about the console is simple, it's awesome and I can't wait to get more games. For the purchase the only issues I had were hardly problematic: new to buying older games so I didn't know if I was getting the box or not, the reset button doesn't work, and the white end of the AV cable didn't work BUT Lukie support was awesome to send a replacement ASAP... so really the only issue was I didn't know the reset button wasn't going to work but everything all works great. I'd review the controller but it's been so long since I've even used one, what I can say is it works as necessary. l grew up playing supernintendo hell of a super nintendo all the games.how much l remember l play super nintendo play.that's my super nintendo every day. Always wanted to be a little different, got this one instead of the original SNES. The only complaint I have is that the OEM controller (neat to get one instead of a third party) didn't work properly. Not sure if it was tested correctly, but when I opened it up, the rubber pads under the D-pad were gone. I purchased some online and installed them. Other than that, it works perfectly. Clean, works great, and quick shipping. True to Nintendo, this system works perfectly. In Lukie fashion, the thing was in damn near mint condition, save for one tiny dent that is barely noticeable. It was a gift for my sister and she was thrilled to have it. We tried it out with Donkey Kong 2 and rocked it no problem. Worth every penny! Excellent condition! Everything functions flawlessly, and customer service is top-notch! The SNS-101, aka the 'Mini' performs flawlessly, and is easily as good, if not better (thanks to its smaller profile) as the SNS-001 'original' model that preceded it. Be aware, that unlike its larger predecessor, this unit is not equipped with a power-on LED indicator light. Got this in the mail within 2 days of placing my order and it looked almost brand new! 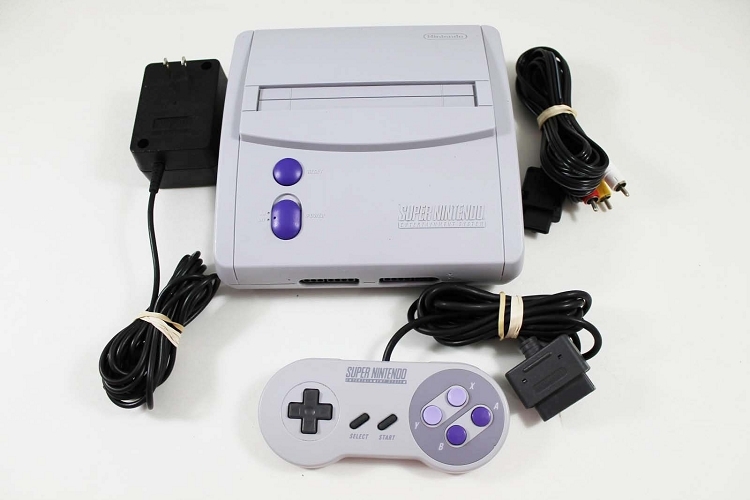 It reads all of my snes games perfectly, only down side to this model is that certain game genies wont work with it. Bottom line awesome price awesome condition and like always awesome service!